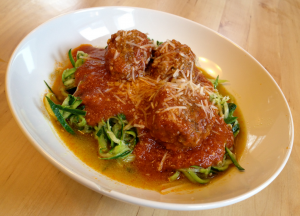 I found myself with a craving for spaghetti and meatballs. I had already solved the spaghetti problem with my trusty julienne peeler and some zucchini. For the meat balls I needed to find something to take the place of breadcrumbs. I decided t0 use some finely grated parmesan cheese and problem solved. Here is what I used. Combine all the ingredients in a large mixing bowl and with clean hands mix this thoroughly. 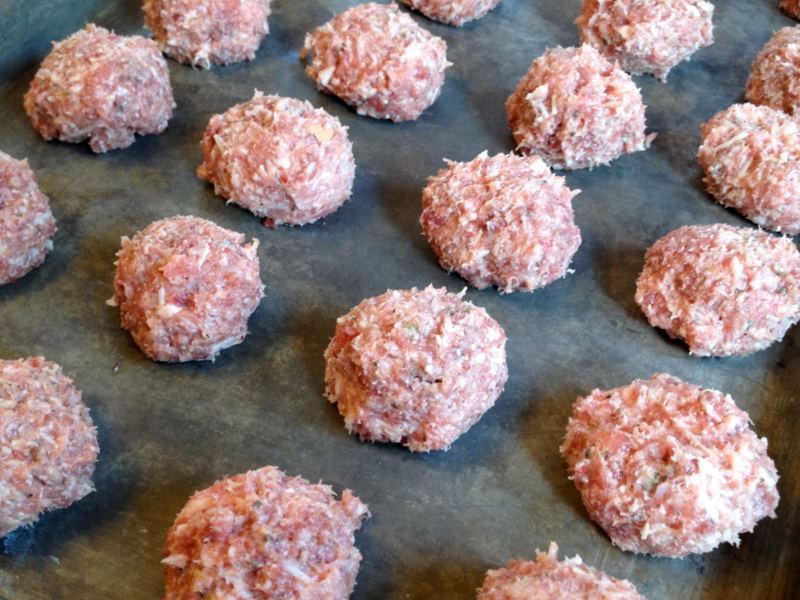 When it is all mixed up start forming the meatballs. You can make your meatballs as small 0r as big as you want, I prefer to make mine a little on the small side. This made exactly 24 meatballs. 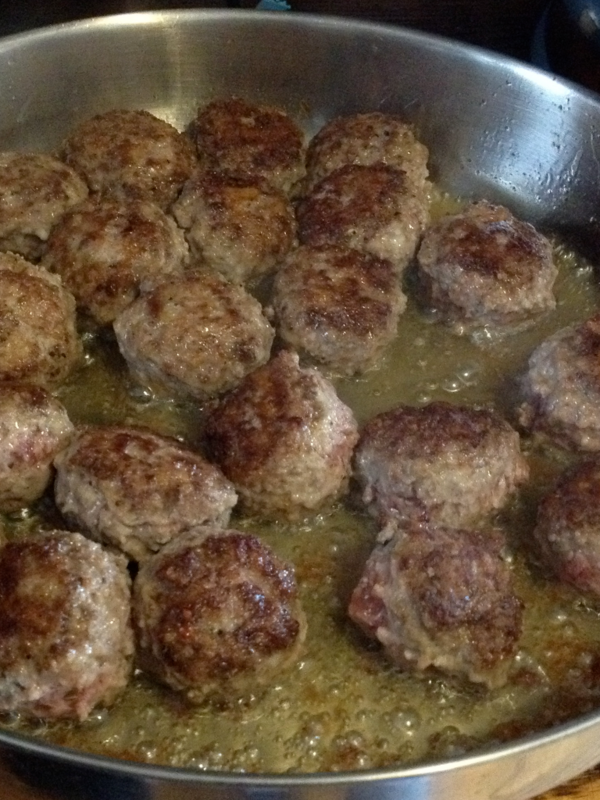 Next I put some olive oil in the bottom of my electric frying pan and seared off the meatballs on both sides. After the meatballs are nice and browned you will add your jar of tomato sauce, turn the heat to low and let them simmer for at least 30 min or until the meatballs are cooked through. Tomato sauce is of course the most traditional way to finish the meatballs, however it can contain a fair amount of sugar. I braised them in the tomato sauce then served them on a bed of zucchini “spaghetti” with a very small amount of sauce to keep the carbs down. You could also serve them with an alfredo sauce as well. Enjoy!